This range staple from Federal is a solid performer that comes at a highly affordable price. 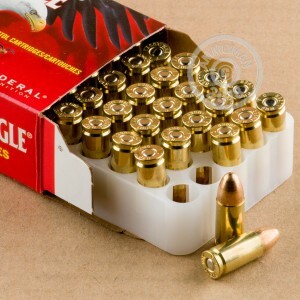 Manufactured in Anoka, Minnesota, these cartridges come in boxes of 50 and fire a light 115 grain full metal jacket bullet at a high muzzle velocity of 1,180 feet per second. This ammo uses a standard pressure load ideal for both full-size and subcompact pistols. 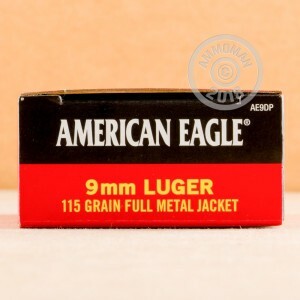 Like other Federal ammo, it is non-corrosive and brass-cased. 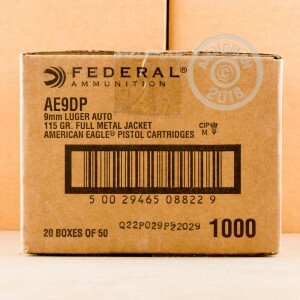 Pick up a few boxes of this affordable ammo and earn free shipping if your order total exceeds $99! It's an easy way to save from AmmoMan.com.